Efficient Power Conversion (EPC) has expanded it 100V eGaN® FET family, with the addition of the EPC2053. The 100V 3.8 milliOhm eGaN FET joins the EPC2045, EPC2052 and EPC2051 100V eGaN FETs. The family is designed to offer 100V products suitable for a wide-range of power levels and price points to meet the increasing demands of 48V server, 48V automotive, and 54V data centre applications. The eGaN FET family includes single-stage 48V to load open rack server architectures, USB-C, precision motor drives, LED lighting, and lidar. According to EPC, the latest generation of 100V GaN devices increase the efficiency, shrink the size, and reduce system cost for 48V power conversion. GaN can be specified in artificial intelligence (AI), cloud computing, and advanced high-performance motor drives. 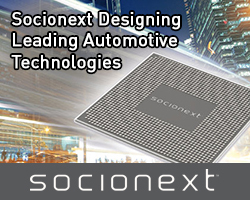 In the automotive market, systems are moving from 12V distribution systems to 48V systems as autonomous vehicles integrate lidar, radar, camera, and ultrasonic sensors. EPC adds that in all the topologies with 48V IN, the highest efficiency is obtained using GaN devices due to their lower capacitance and smaller size. 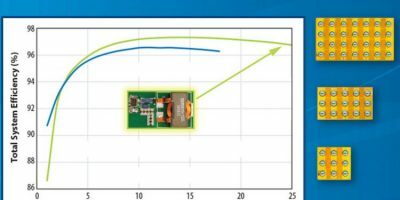 EPC believes that recent pricing decreases in GaN power transistors mean that the cost comparison with equivalent silicon-based converters “strongly favours the use of GaN devices in all leading-edge solutions”. Two reference designs and five demonstration boards are available, including the EPC9138 demonstration board is a 400kHz switching frequency, 48V IN, 15A output current, buck converter featuring the 100V EPC2053. The EPC9141 demonstration board is a 400kHz switching frequency, 48V IN, 10A output current, buck converter featuring the 100V EPC2045. Standard half-bridge development boards available to support easy in-circuit performance evaluation of each of the 100V family devices. 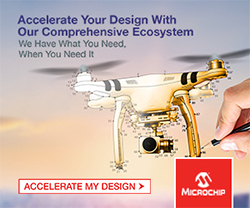 The EPC9093 supports the EPC2053, the EPC9078 and EPC9205 support the EPC2045, the EPC9092 supports the EPC2052 and the EPC9091 supports the EPC2051. 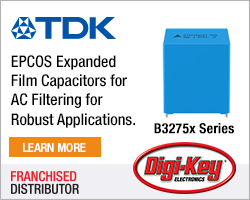 All products and boards are available for order from Digi-Key.